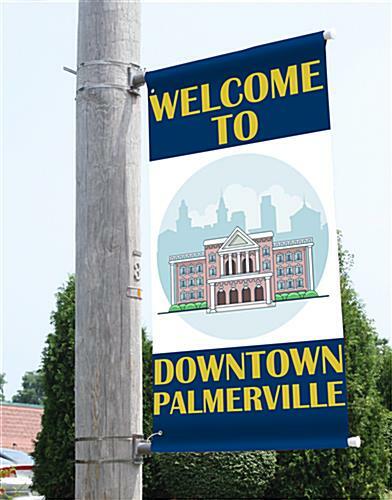 The Street Pole Flag Banner Brackets are Engineered to Withstand Outdoor Use! Promotional Feather Signs and Lamppost Pennants are Perfect for Advertising When Coupled with this Hardware! Purchase this Flag Banner Mounting Equipment to Complete Your Ads! 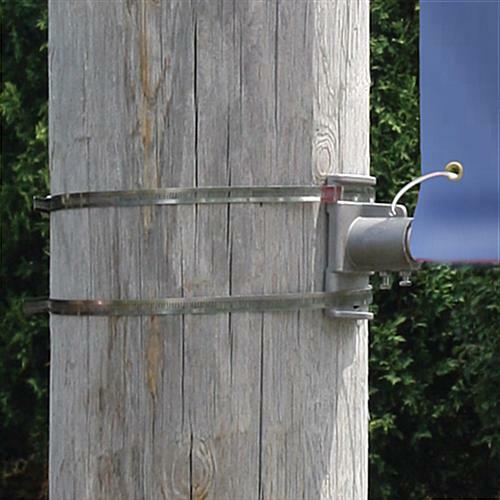 Light pole banner brackets have an aluminum construction for rust resistance. Fiberglass poles are durably designed to withstand strong winds. 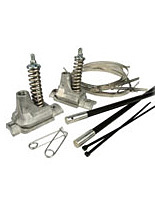 Street lamp flag brackets have adjustable gear bandings to fit around most posts. Zip ties hold signs on the mounting hardware in inclement weather. These metal flag banner brackets are a dependable and affordable means to present street signs in your community. The mounts are crafted from rust resistant cast aluminum. The flag banner brackets that are wind resistant come with poles made from fiberglass. Two set screws secure the fiberglass poles in each aluminum mount. The flag banners with wind resistant poles attach to lamp posts with adjustable screw gear bandings that will fit around poles up to three feet in circumference. This mounting hardware is built for use with a fabric or vinyl street pennant that has grommets. Zip ties are included, which loop through grommets in the vinyl signs and through pre-drilled holes in the aluminum mounts. This ensures the display does not slide off the poles in windy conditions. The flag banner brackets that exhibit signage in vertical orientation are designed for 36" wide canvases. 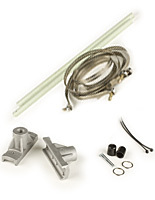 The mounting hardware, flag banner brackets that are a great bargain do not have an on-pole adjustment mechanism. This feature is specifically excluded to keep the price point as low as possible. To pull a flag tight, one must manually slide the flag banner brackets along the lamppost, and then tighten the screw gear bandings. 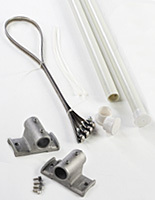 Shoppers that purchase this set of street pole hardware receive a kit of long-lasting durable mounts, which cost significantly less than similar merchandise offered by competitors. 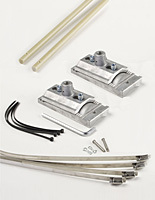 Users can buy two hardware sets and mount them side-by-side to form double-wing street flag banners as well. 2.5" x 5.1" x 1.5"